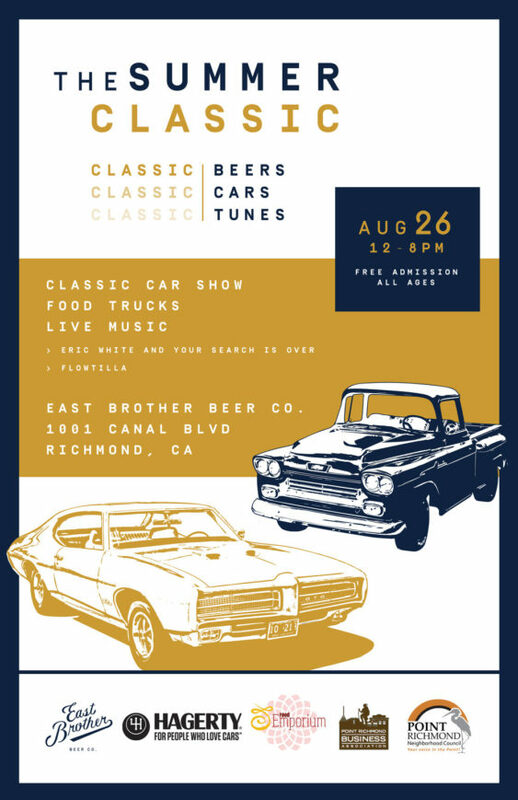 Say goodbye to summer with a celebration of classic cars, classic music and of course their classic styles of beer, as the 2nd Annual Summer Classic returns to the East Brother taproom on Sunday. They’ve rounded up a bunch of local gems for a friendly show/competition to see who’s the local favorite. Winners of the people’s choice car show will receive a custom East Brother Beer Co. Trophy Growler. What better award than the one you can drink beer from? 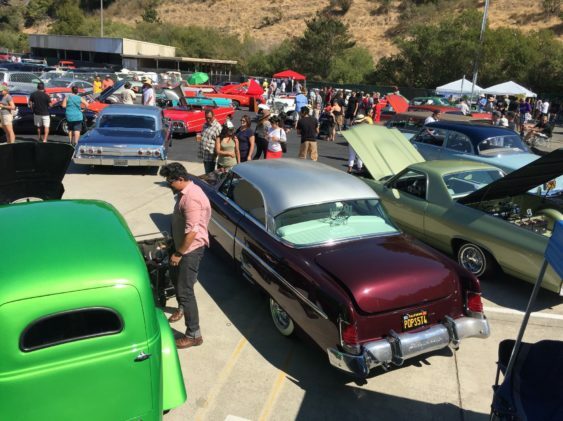 If you have a pre-smog (pre 1975) competition-worthy car or truck and are looking to participate please email them before the event at info@eastbrotherbeer.com. Participation is free and they’ll even buy your first pint. The more cars they get the better a show they’ll have. Winners of the car show awards will be announced during the band’s 5 pm break. Food trucks will be on site as well. Their chefs will be Richmond locals Curbside Kitchen, Taqueria Esperanza and Cosa Nostra. Plus a Specialty Beer on Tap: Pre-Prohibition Lager, the next beer in the seasonal Lager Series.